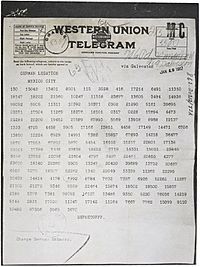 The Zimmermann Telegram (as it was sent from Washington to Mexico) encrypted as ciphertext. In cryptography, ciphertext or cyphertext is the result of encryption performed on plaintext using an algorithm, called a cipher. Ciphertext is also known as encrypted or encoded information because it contains a form of the original plaintext that is unreadable by a human or computer without the proper cipher. This makes it unreadable to anyone except those who own unique information about it, usually referred to as a key. Decryption, the inverse of encryption, is the process of turning ciphertext into readable plaintext. Decryption is the reverse process of encryption. It takes the unreadable ciphertext as an input and makes it readable again in the form of plaintext. Cryptanalysis is the study of methods for obtaining the meaning of encrypted information, without access to the secret information that is normally required to do so. Typically, this involves knowing how the system works and finding a secret key. Cryptanalysis is also referred to as codebreaking or cracking the code. The Zimmermann Telegram decrypted into plaintext (and translated into English). 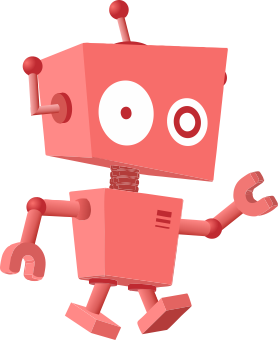 Ciphertext Facts for Kids. Kiddle Encyclopedia.